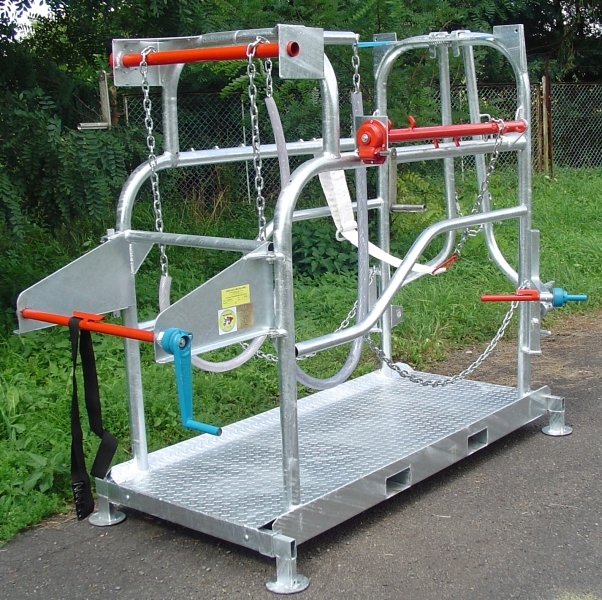 Our cattle crush has a rear entrance gate closed by a horizontal rump bar and unique quick adjust, self-closing front gate. 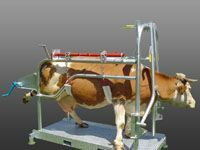 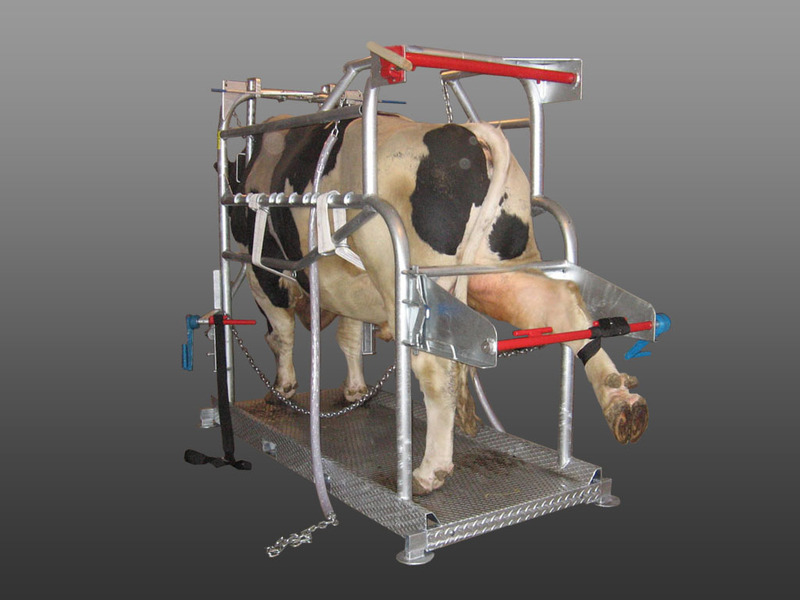 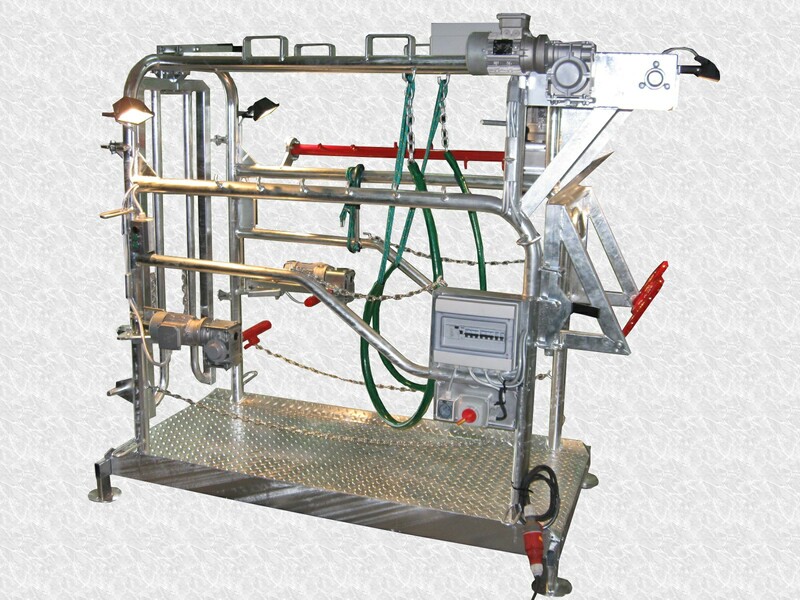 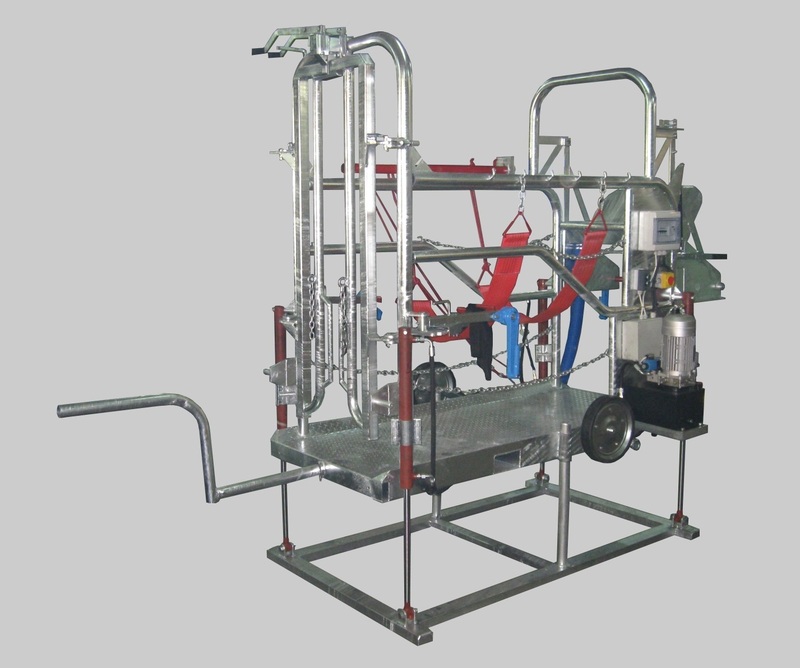 This allows easy adjustment of the animal's neck in between dual yokes. 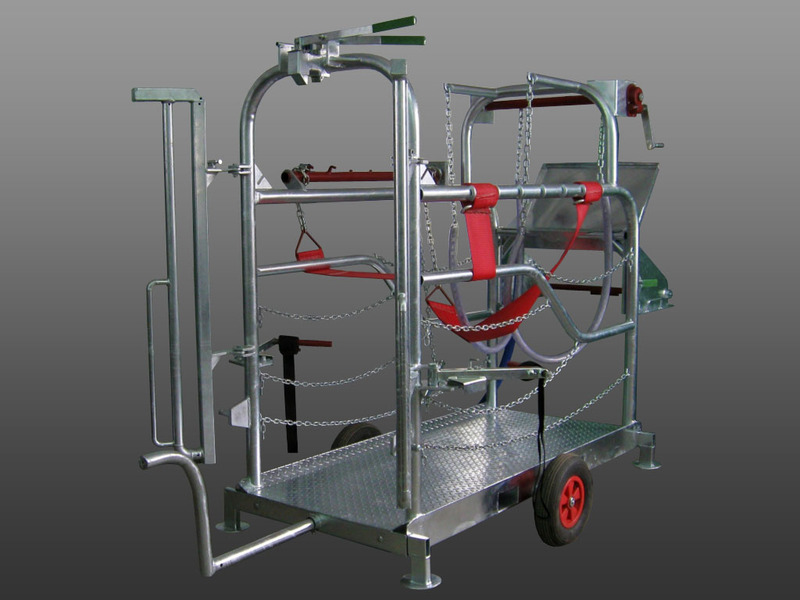 It has a heavy duty main frame and anti-slippery steel tread plate floor. 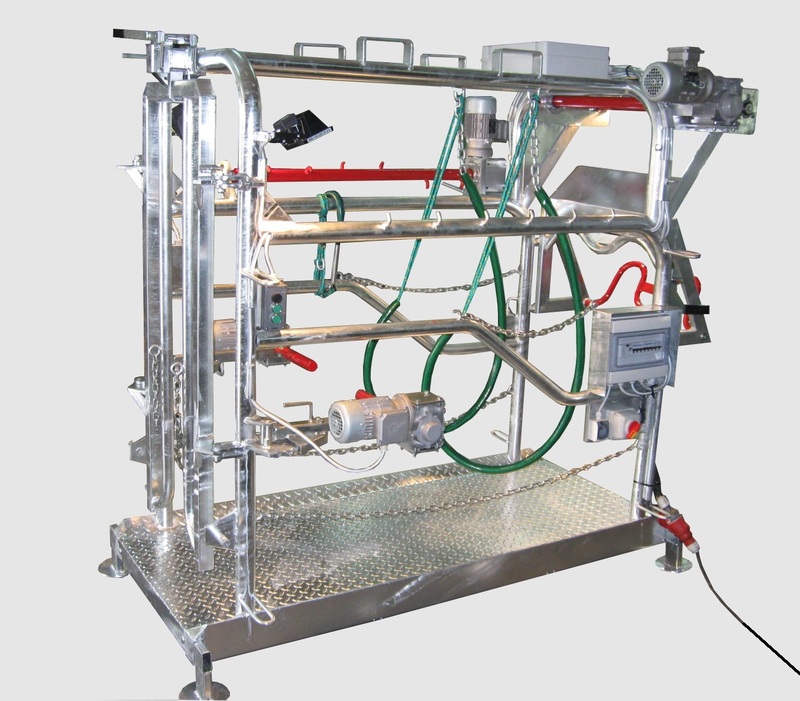 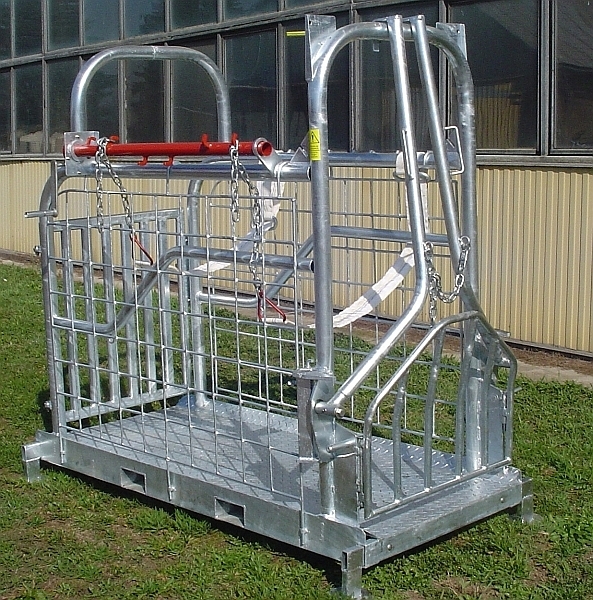 All parts of our crushes are hot dipped galvanized for maximum corrosion resistance and long life durability. 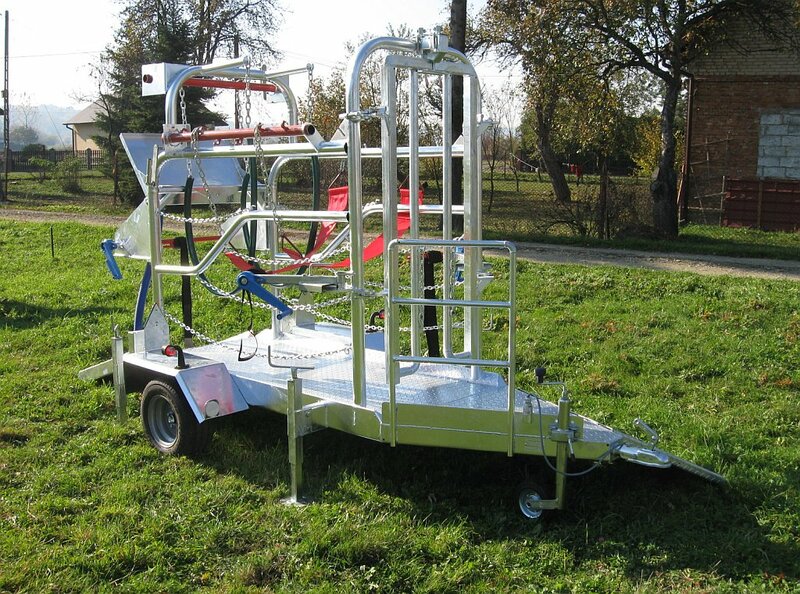 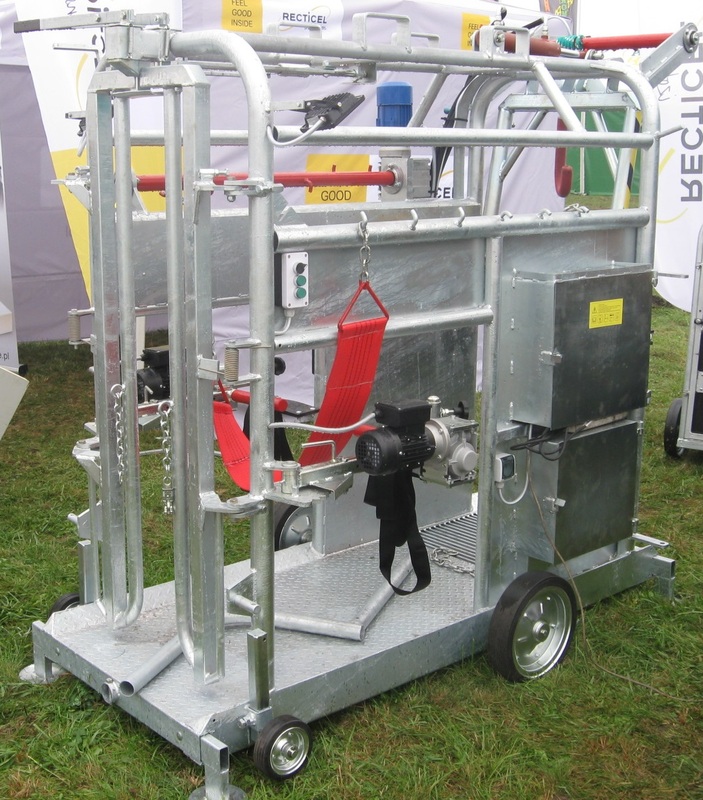 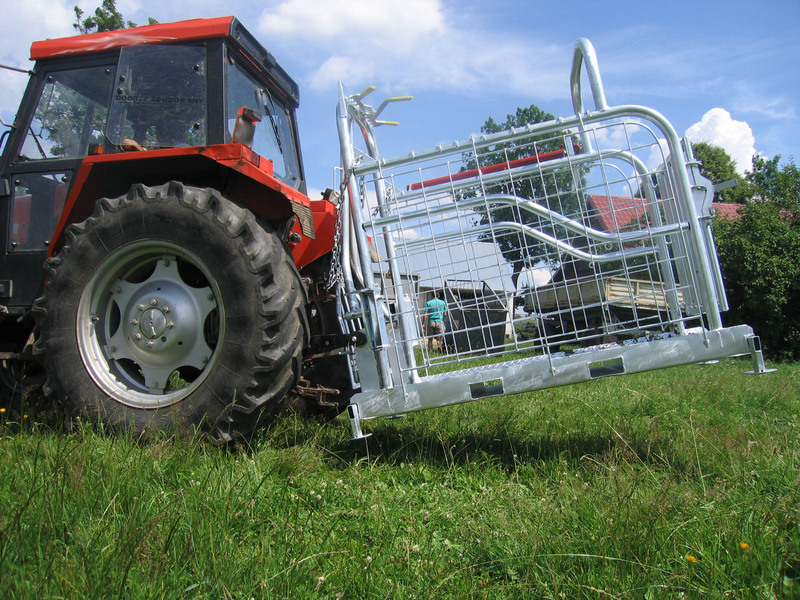 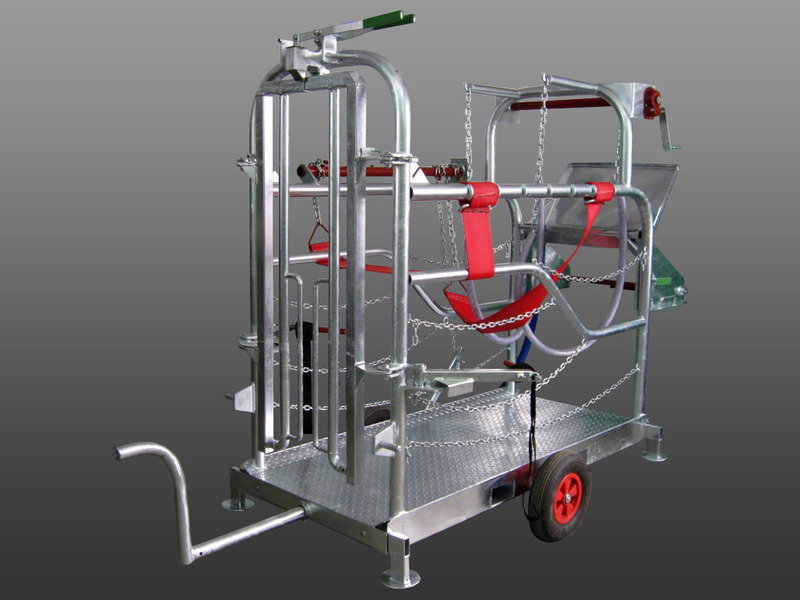 The cattle crush is transportable as one unit on the 3-point linkage of a tractor. 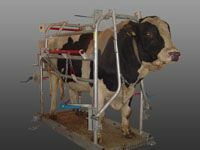 The front gate of a crush is adjustable for various sizes of cattle. 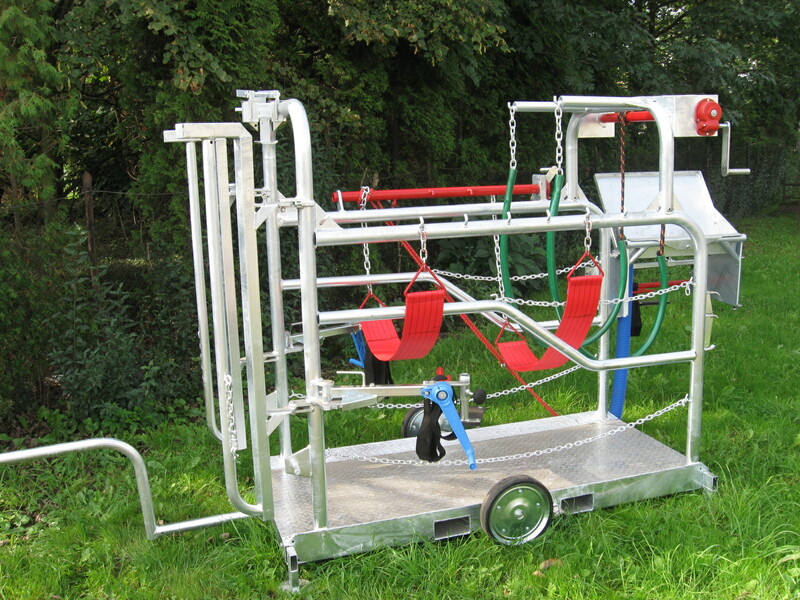 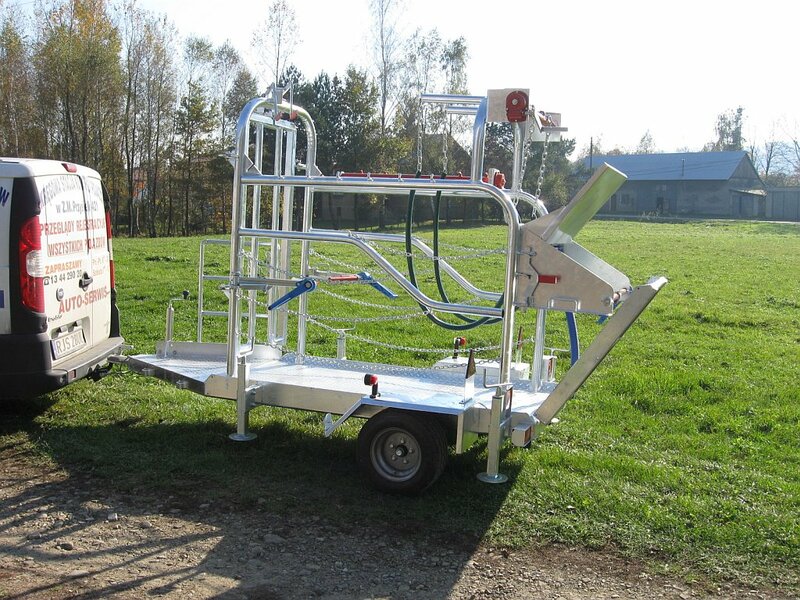 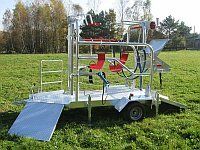 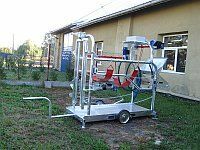 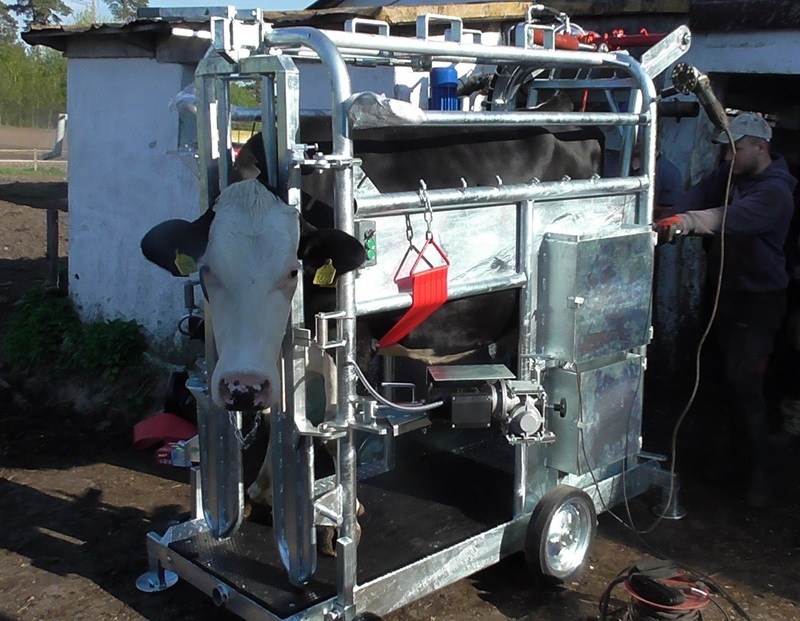 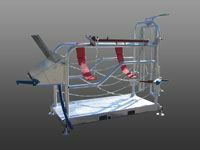 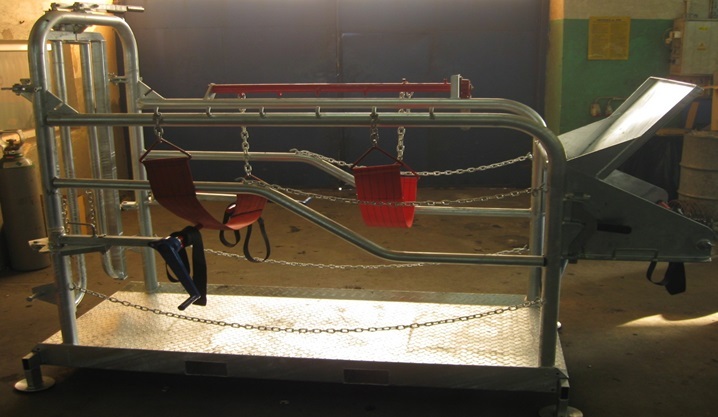 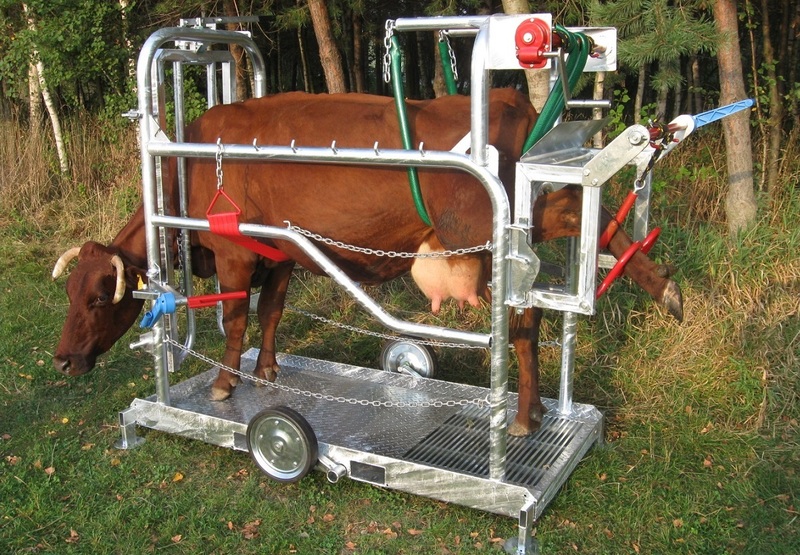 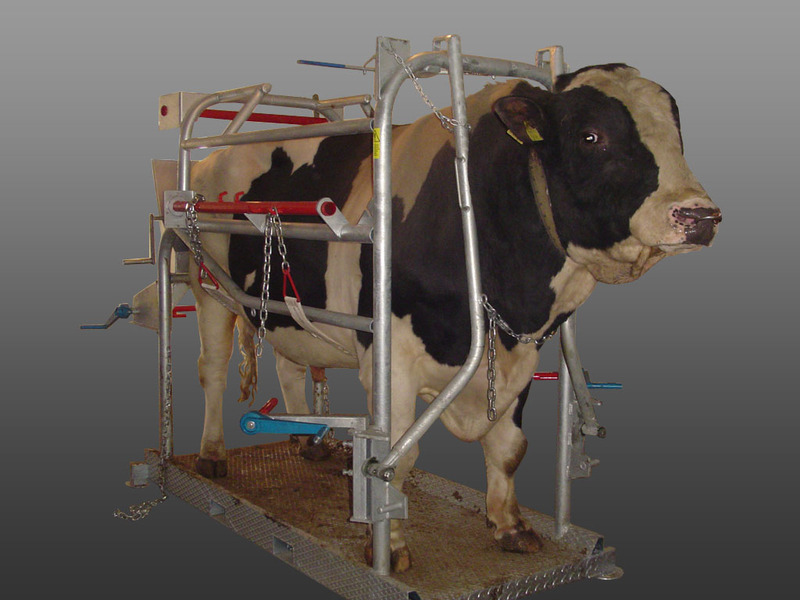 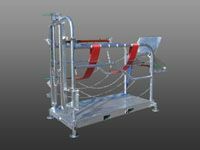 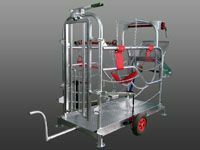 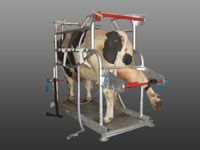 The cattle crush is designed to allow complete and safe access to the animal's flanks for all tasks, leaving the animal immobile at the same time. 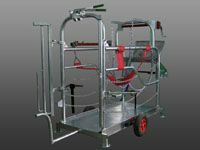 It possesses foot trimming equipment including adjustable belly and inguinal support straps, worm gear and German-made leg lift cranks. 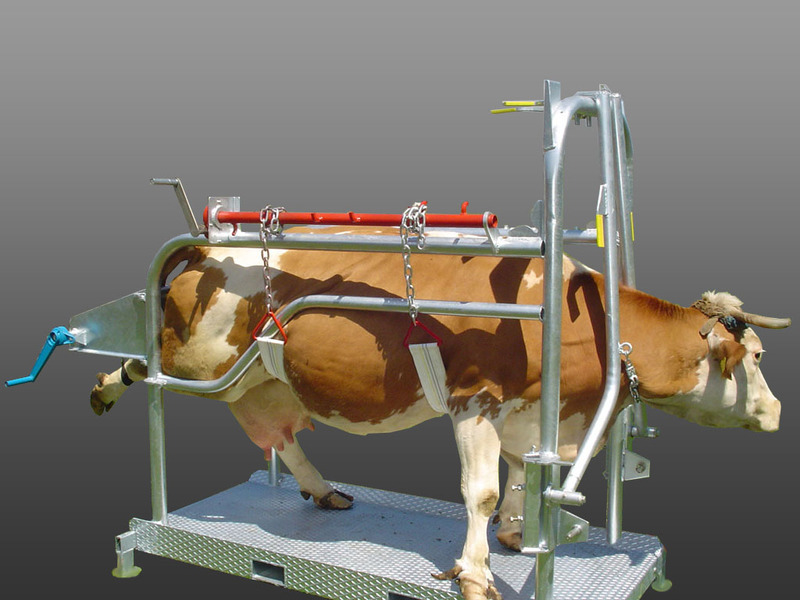 This ensures accurate, stable positioning of the lifted leg and prevents the cow from kicking when clipping. 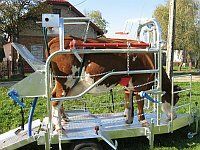 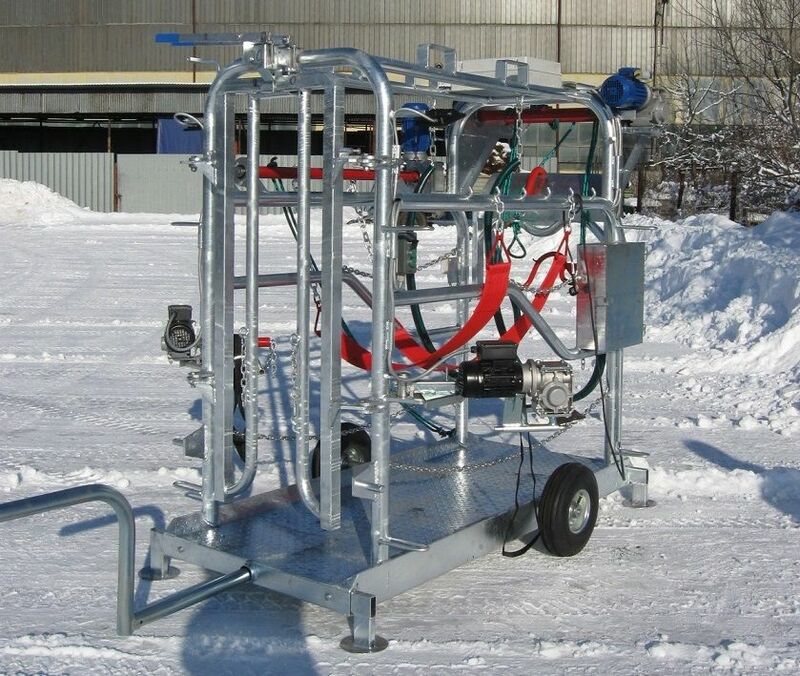 Additionally, the cattle crush is equipped with an excrement vessel and a special element enabling hind groin lift. 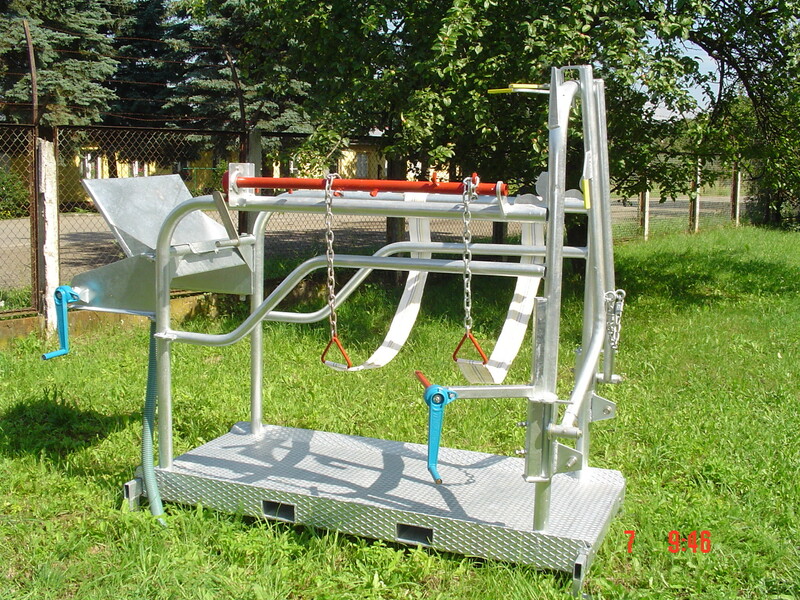 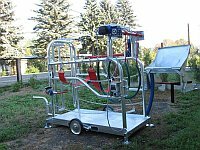 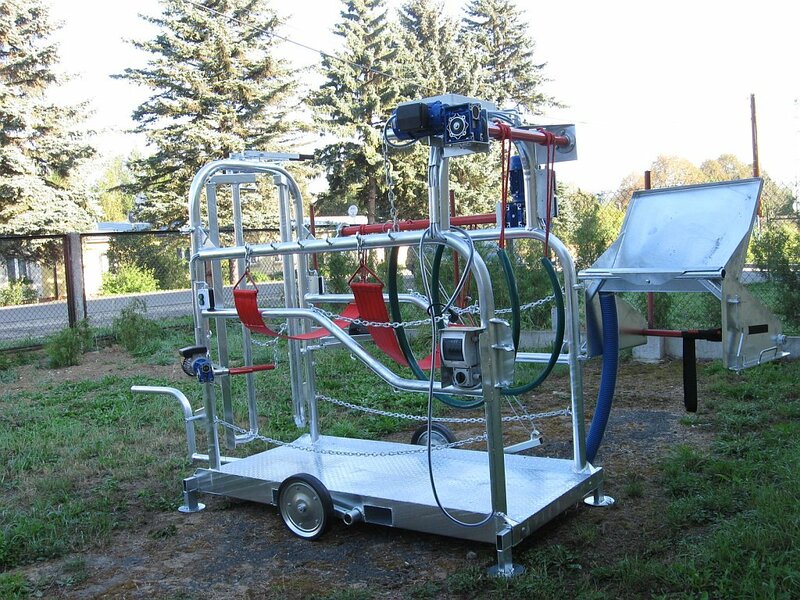 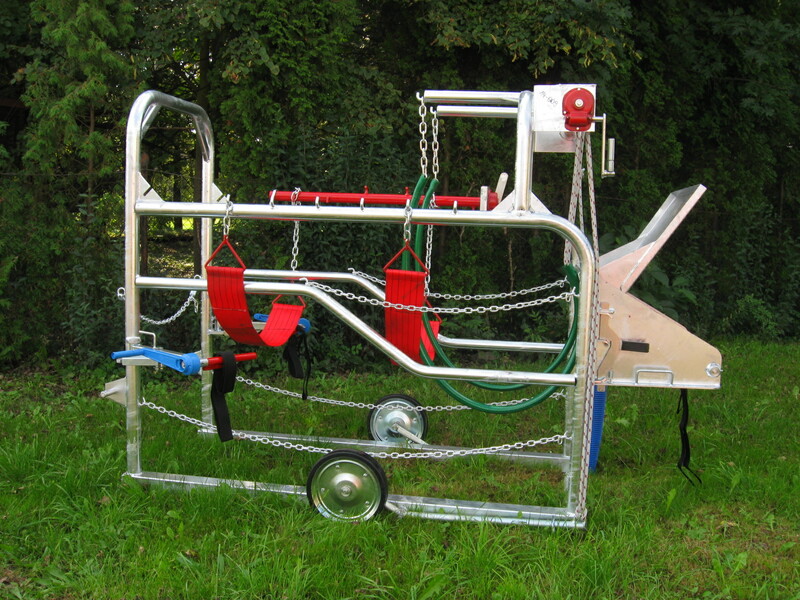 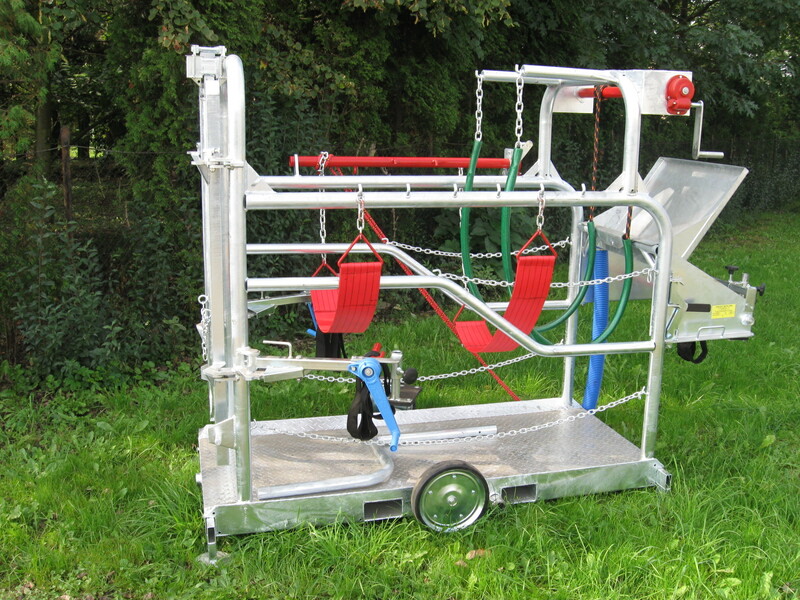 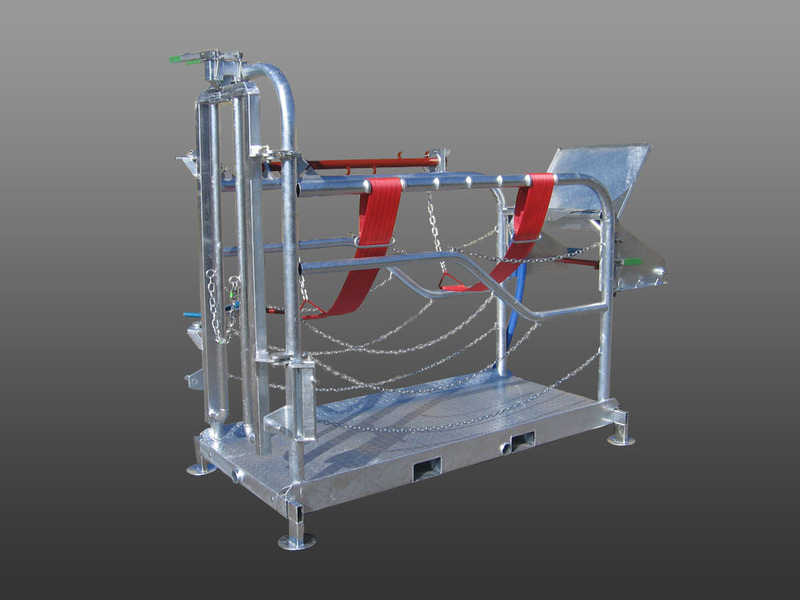 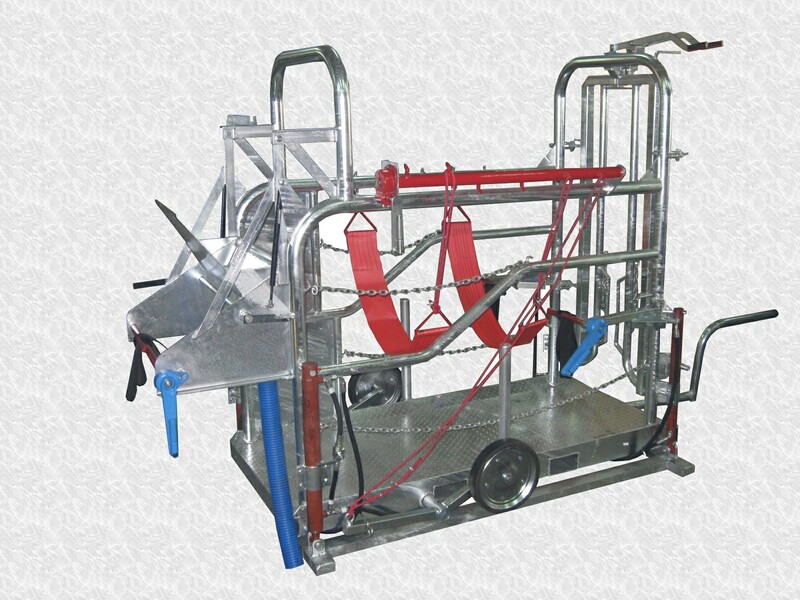 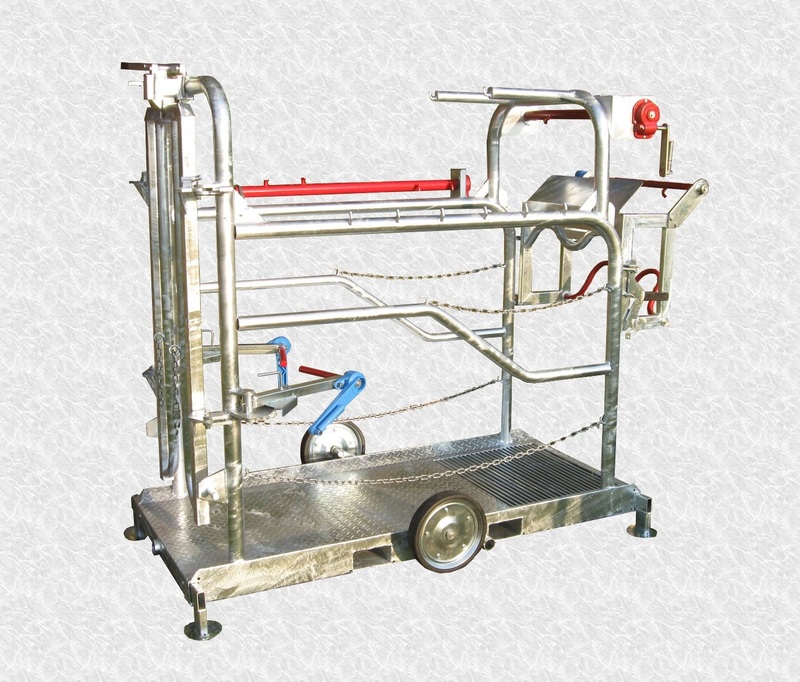 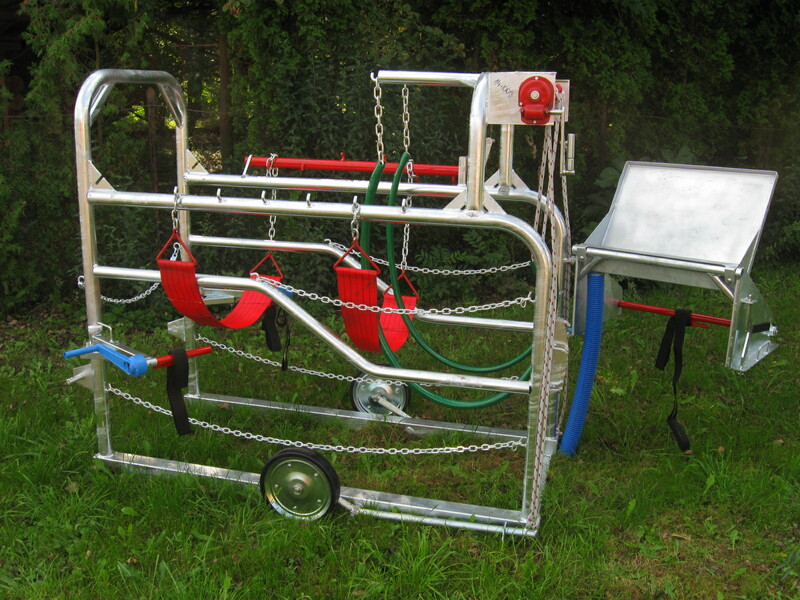 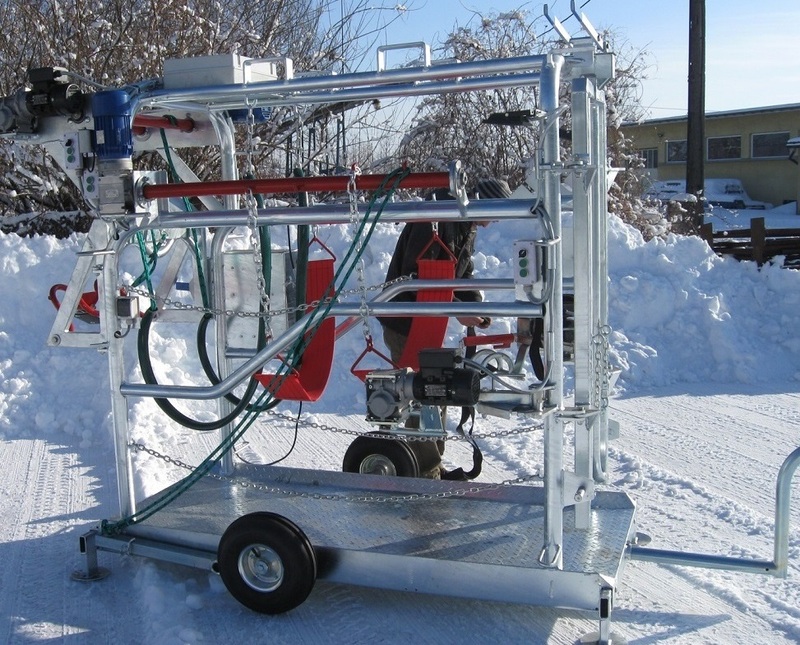 The cattle crush can be fixed or portable depending on the order. 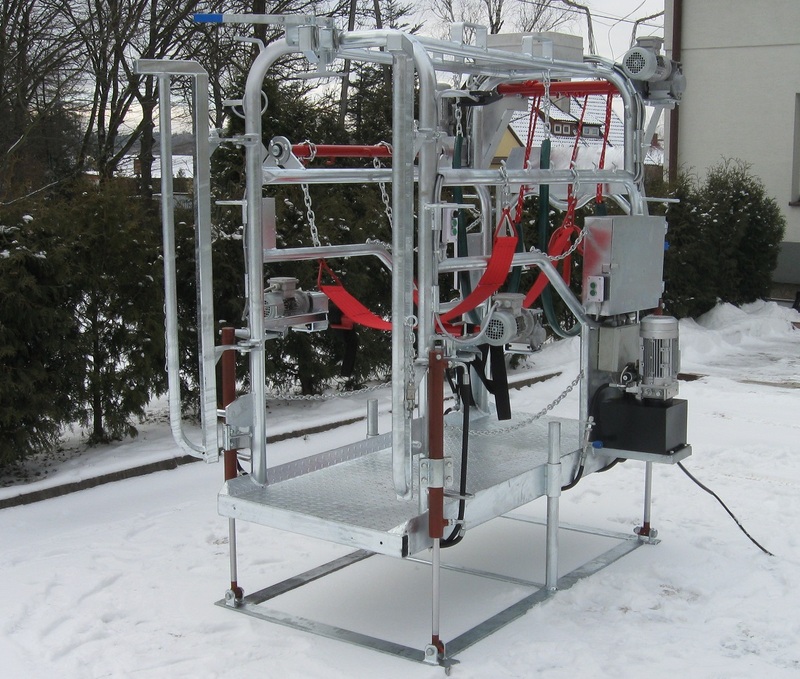 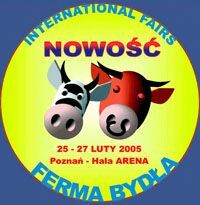 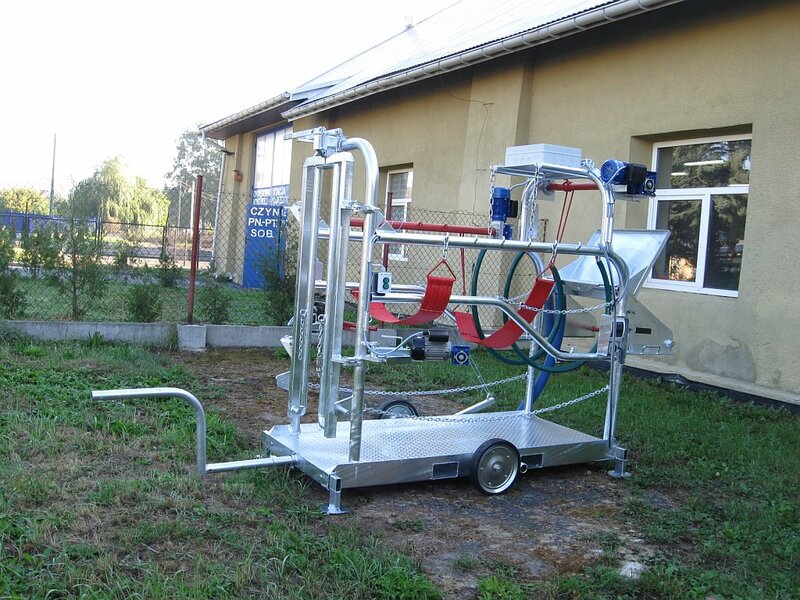 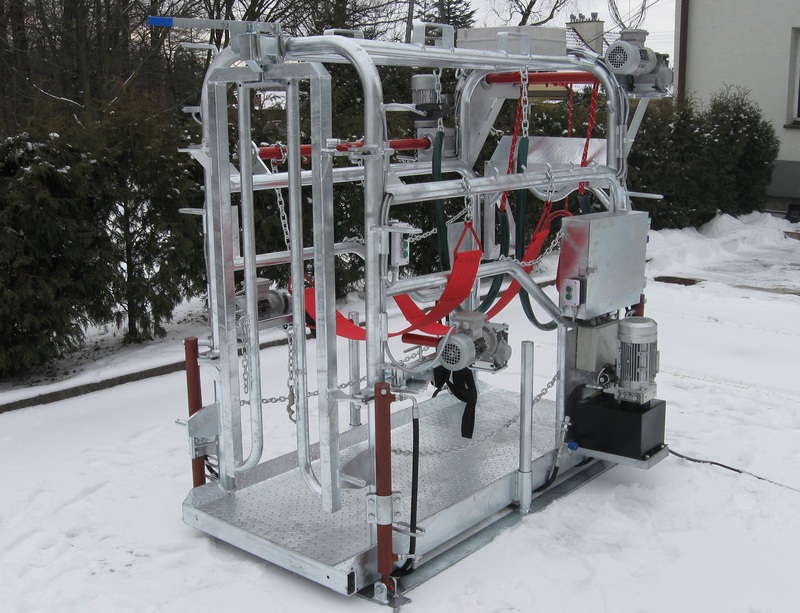 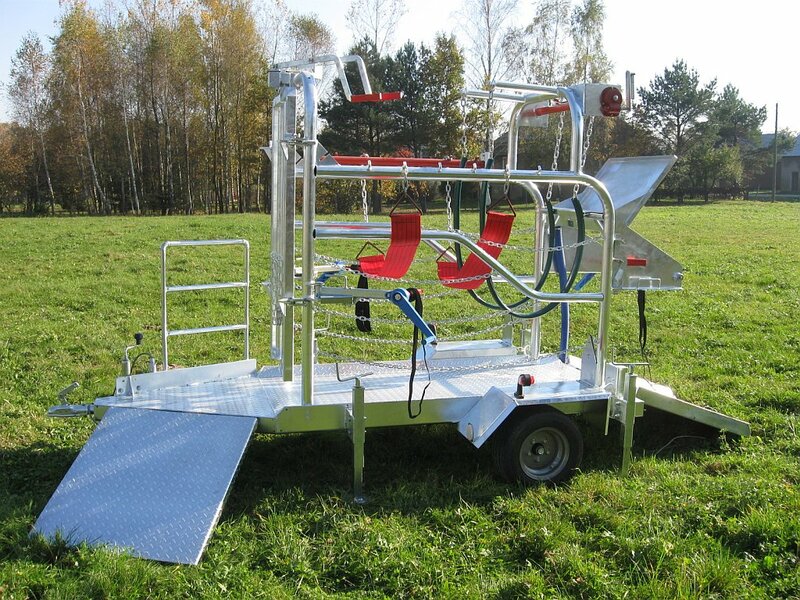 Our cattle crush received an award for innovative devices during the International Trade Fairs in Poznań in 2005. 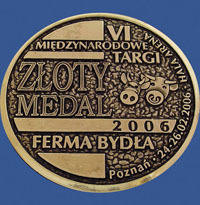 In the following year it was awarded the Gold Medal in Poznań. 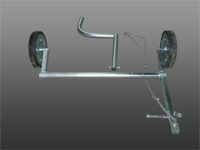 Made only on customer order. 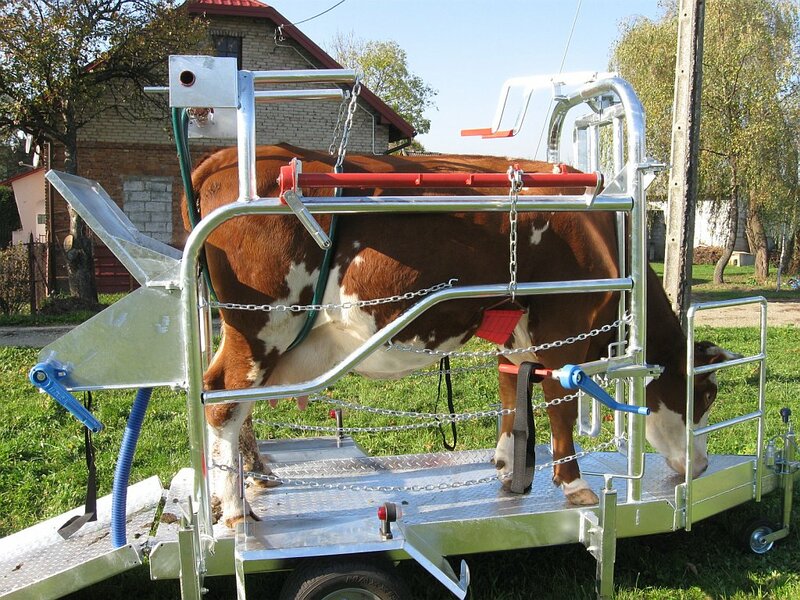 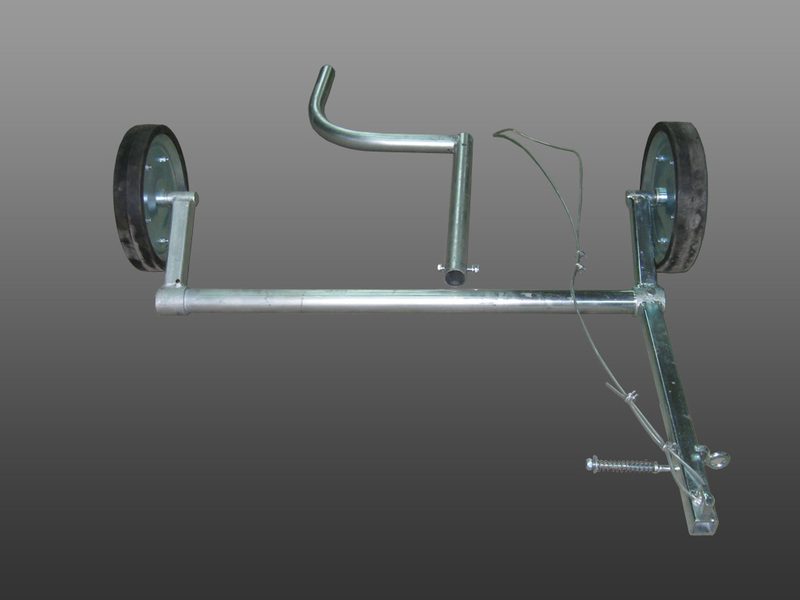 There is also a possibility of buying extra parts such as an axle with wheels and a drawbar for our immobile cattle crushes for hand transport around the farm area.